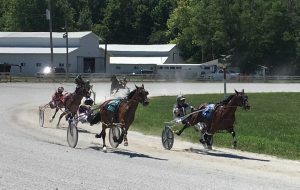 Seven competitive races kicked off the July program at the Shelby County Fairgrounds Tuesday, July 17 with owner- river-trainer Don Eash picking up two wins on the card along with Doug Rideout, who scored a training double. 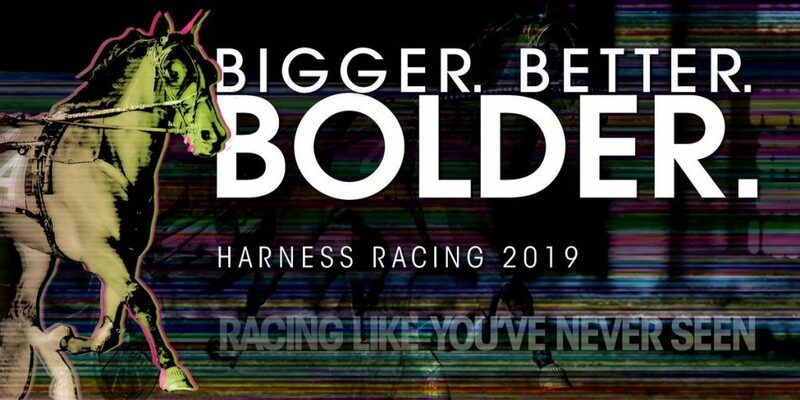 The Eash Racing Stable kicked off their afternoon with a win from Miciah My Man in the second division of the two-year-old colt and gelding pace with a purse of $3,000. Eash sent the Shadyshark Hanover colt right to the front from post two and was tried a few times by Great Faith and Jordan Ross. The duo kept them at bay until the final turn when Great Faith cleared Miciah My Man. However, Miciah My Man came back late in the stretch to secure the win in a time of 2:04.0. Great Faith was several lengths ahead of Letsmakithapncapn and Gerald Miller, who finished third. It was the first win in seven starts for Miciah My Man, who made his racing debut at Converse in early June. He has accumulated four second place finishes up until today’s win for Eash Racing Stable. Miciah My Man now has nearly $5,000 on his card from the Indiana fair circuit. 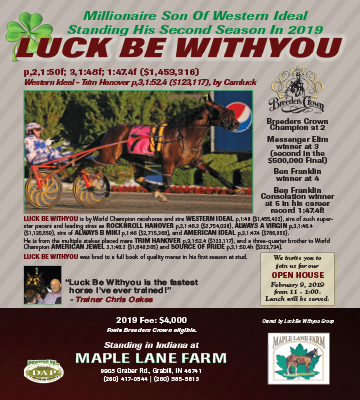 Joining Miciah My Man as a winner for Eash was ER Skywalker in the first division of the three-year-old colt and gelding trot. The Guccio gelding waited patiently until after the half before challenging front runner Power Tower and Doug Rideout, wearing the duo down in the stretch for the win by one and one-quarter lengths in a time of 2:04.0. He trotted home in :29.4 seconds to also earn his first win of 2018. 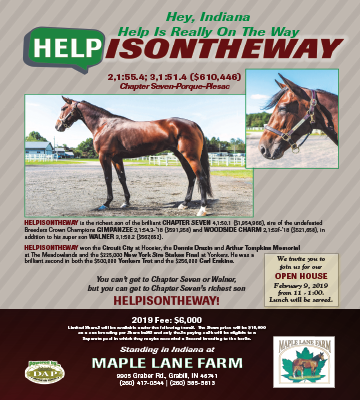 The homebred son out of Eash’s former stakes contender BL Starchip, who earned in excess of $100,000 during her career, has more than $32,000 in career earnings. Trainer Doug Rideout sent out the first of two winners on the card in the afternoon’s fifth race as Striking Encore and Walter Haynes Jr. rallied home impressive winners in 2:02.4, winning by more than five lengths. 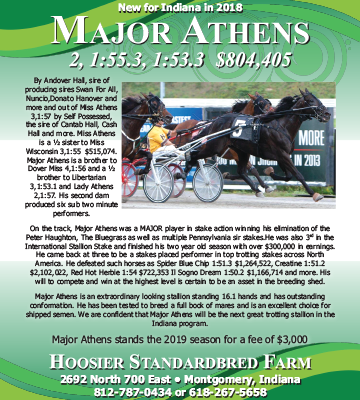 The three-year-old trotting filly, owned by Mervin Eicher, now has seven wins in 17 starts this season. Go Gabby Go and Eash finished second over Mrs Darcy and Rideout’s other entry for third. 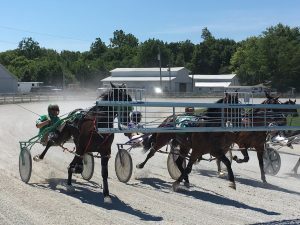 Rideout was behind Northern Skyway in the final race of the day, the second division of the three-year-old trotting colts and geldings event. Rideout moved Northern Skyway to the lead down the backstretch for the second time and trotted home in 2:05.0, three-quarters of a length ahead of Mr Quaker and Haynes Jr. Senator’s Reason and Mike Peterson finished third. Racing resumes at the Shelby County Fairgrounds Wednesday, July 18. 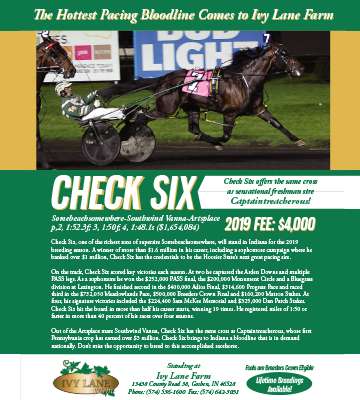 First post is set at 11 a.m. for the seven-race program.